Palestinian Authority returns M-16 to IDF forces, after two soldiers mistakenly drove into PA-controlled Jenin and were nearly lynched. 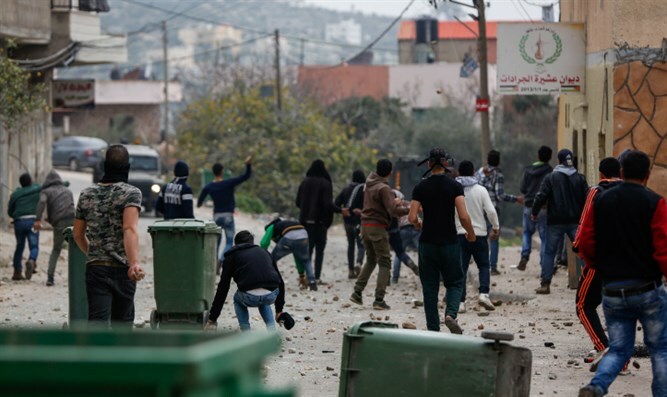 The Palestinian Authority returned to IDF forces on Tuesday morning the M-16 weapon stolen yesterday after two IDF soldiers mistakenly drove into the Palestinian Authority-controlled city of Jenin in northern Samaria and were nearly lynched by an Arab mob. The two drove into Jenin Monday afternoon, where they were assaulted by a violent mob which attempted to break into their car. The vehicle was pelted by rocks, smashing several windows and injuring the two soldiers inside, one of whom was a female soldier whose face was cut and bloodied by broken glass..
Rioters attempted to force their way into the vehicle, and managed to steal one soldier’s gun, before the two soldiers were rescued. Both were treated after the incident, and have been listed in light condition. According to an initial investigation into the incident, the soldiers accidentally entered Jenin while using the Waze smartphone application for navigation. The driver apparently failed to deselect the option for including roads in areas controlled by the Palestinian Authority. Israeli security officials say PA police officers arrived and managed to prevent the lynch mob from causing more serious harm to the two IDF soldiers.